In this wisdom moment Greg shares how God’s word says we can have a peaceful life. Proverbs 1:33 says “but whoever listens to me will live in safety and be at ease, without fear of harm.” Greg continues to discuss the incredible wisdom and benefits that are available to those who listen to God. If we listen to God he gives us freedom from anxiety, labor, pain, freedom from financial needs and so much more. They continue to discuss how people are worn out because they are not listening to God. There are so many major things happening underscoring the importance of abiding in God’s word and listening and following His truth. 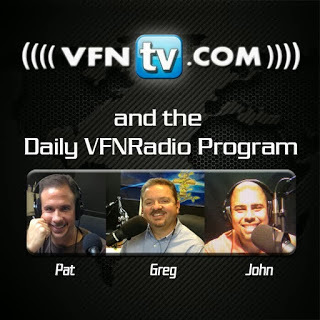 Greg, John, and Pat discuss how national wholesaler Costco labels the Bibleas fiction. This was first identified according to CBN news when a pastor from Simi Valley California walked into a Costco and saw how they disgraced the word of God. They continued to discuss that one never knows who was behind such a thing it could have been anybody however they see it is just indicative of the views of Americans and Christians alike when according to the Barna group 81% of professing Christians don’t even read the Bible. It makes mockery of men like William Tyndale and John Wycliffe who gave their lives for us to have a Bibletoday. The Bible is so real that Satan is terrified of it.